Barossa Terroir Specialist - Private Barossa Wine Tour - Private and small-group wine tours of the Barossa Valley, Adelaide Hills, and McLaren Vale. A private wine tour for those wanting to experience and understand the true characters of Barossa Shiraz. We’ve done the hard work of uncovering single-vineyard wines from different sub-regions of the Barossa, so you can relax and be guided through the varied tastes and of the region. You’ll enjoy a privately hosted tasting at highly awarded Two Hands, a boutique winery producing a range of single-vineyard Shiraz as dictated by the vintage conditions. These are the hard-to-get premium wines that serious collectors will hold dear in their private collection. 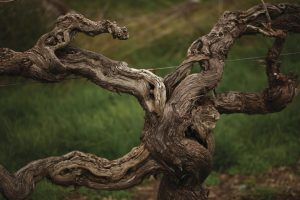 At Elderton Wines you’ll witness the Command Shiraz vineyard, over 100 years old in the heart of the Barossa. The Command Shiraz has been awarded the Barossa Trust Mark and consistently rates amongst the best wines in the world. You also have the opportunity to visit one-on-one with a winemaker of single-vineyard wines, available only via special arrangement by Small Batch Wine Tours. We have quite a few aces up our sleeves, but do let us know if you have any special requests and we’ll see what we can do! Inclusions > Luxury transport, all wine tastings, access to ultra-premium winemaker available only by special arrangement, sumptuous restaurant lunch at nationally acclaimed restaurant FINO, bottled water on-board, passionate guide. > Side-by-side tasting flight of Two Hands single-vineyard Shiraz sourced from unique sites within the Barossa.